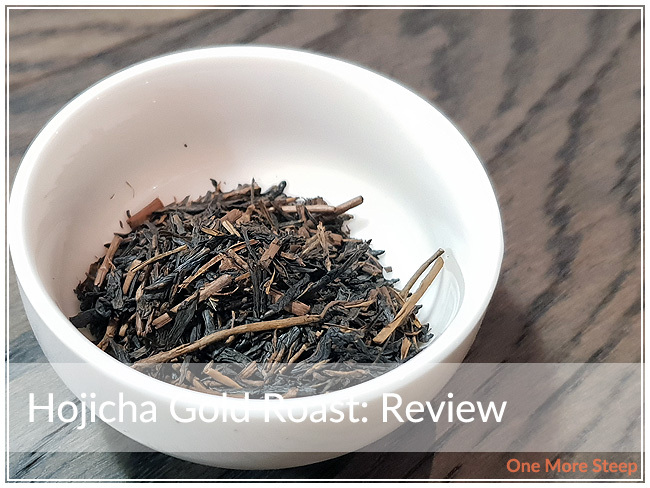 Yunomi has provided me with Hojicha Gold Roast for the purposes of providing an honest review. 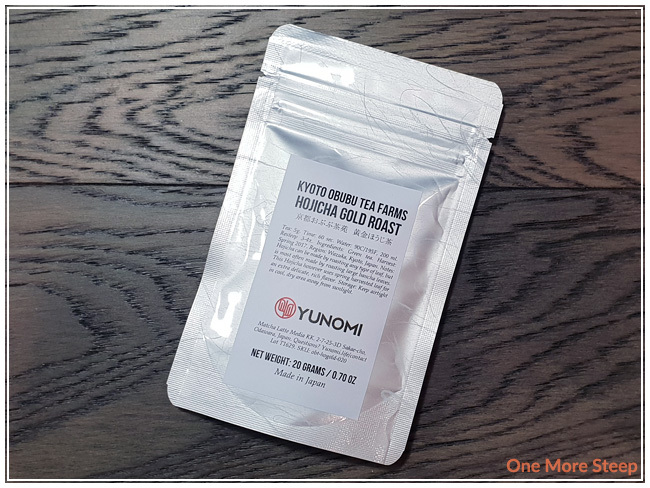 Hojicha Gold Roast from Yunomi is from the Obubu Tea Farms in Kyoto. 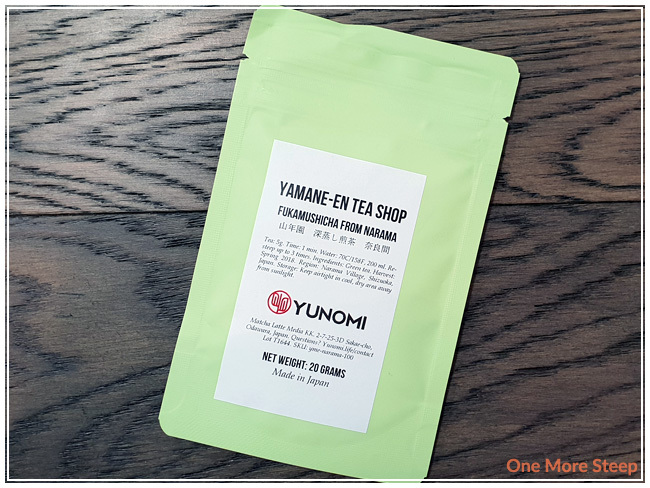 I’ve mentioned it before on One More Steep, but I really do like the packaging and labeling that Yunomi uses for their packaging – it’s resealable and the label has all the information that one could ever want about the tea. 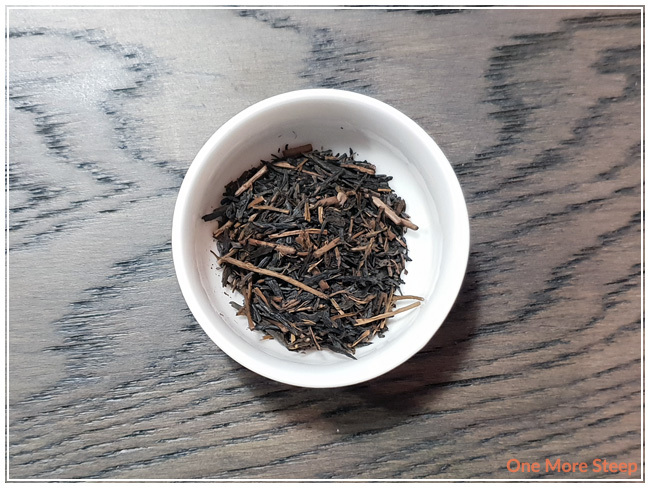 Hojicha Gold Roast is a Japanese green tea that was harvested in the spring time. 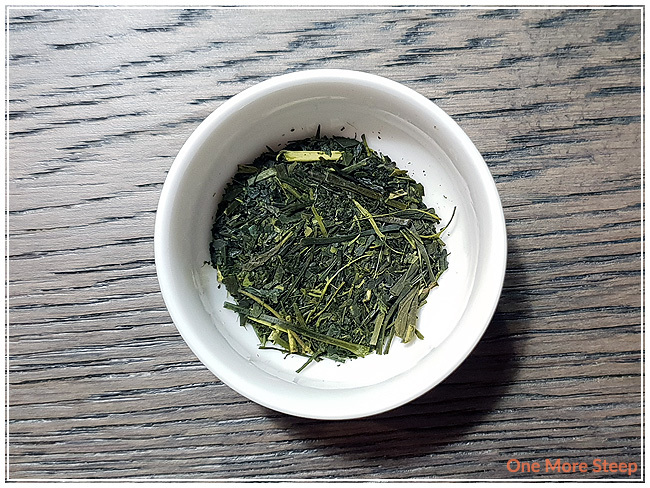 Hojicha Gold Roast is a straight green tea. The leaves are dark brown with many short pieces throughout. This hojicha has some nice deep roasted/toasted notes ot it. It has a slightly smokey and nutty aroma to it. 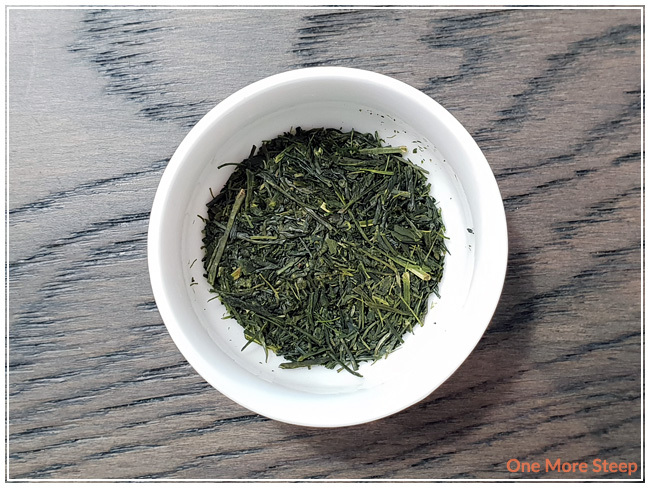 Yunomi recommends steeping Hojicha Gold Roast in 90C (195F) water for 60 seconds. 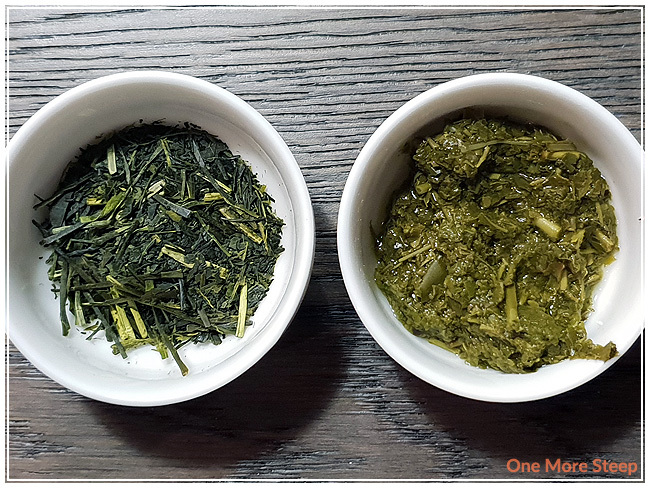 My initial steep followed the steeping recommendations. 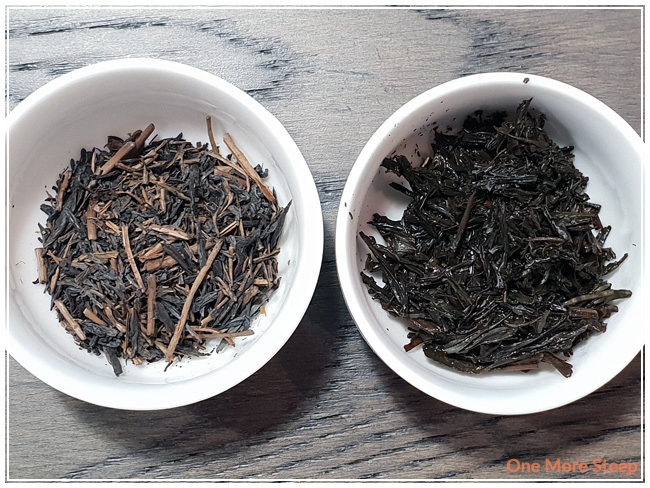 Hojicha Gold Roast steeps to a light golden yellow. I noted that a lot of the fine particles of tea weren’t contained by with stainless steel infuser that I used in my tea pot, so if that bothers you, I would recommend using a filter bag instead. The tea itself has a nice toasted aroma to it. 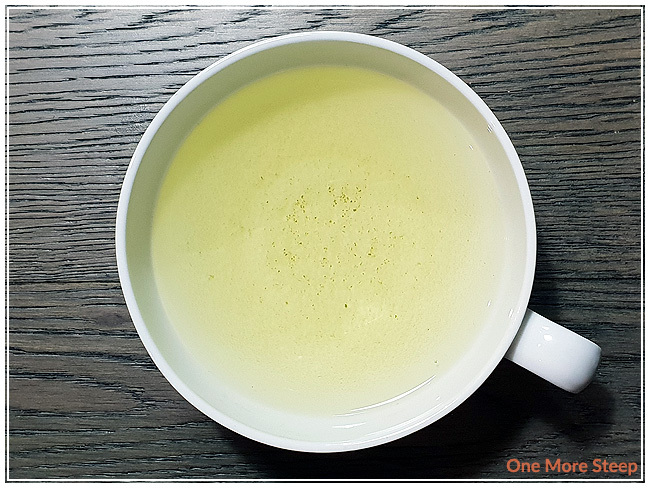 I found the tea to be very smooth when steeped for 60 seconds, with a nice strong nutty flavour. I found some sweetness to the tail end of each steep that reminded me a lot of caramel. 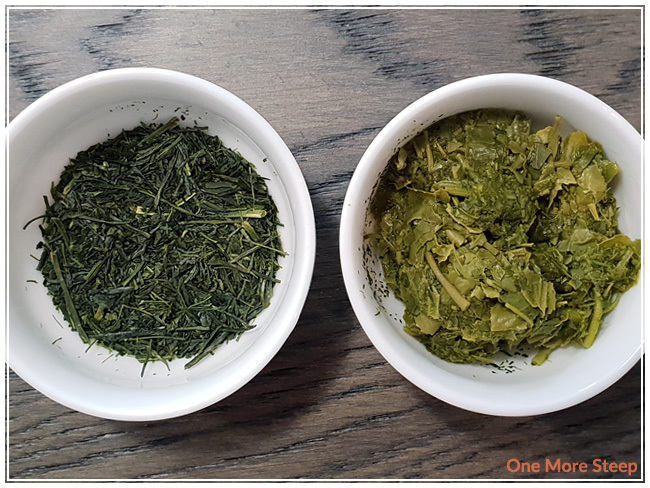 I resteeped Hojicha Gold Roast a total of four times, because that’s what Yunomi suggested it could do. I added an extra 30 seconds for each subsequent steep. I found that the flavours deepened in the first resteep, and became a deeper golden yellow colour. After that, the flavours got a bit weaker with each steep, I found that the nutty flavour gave way to the sweet caramel flavours that I got. 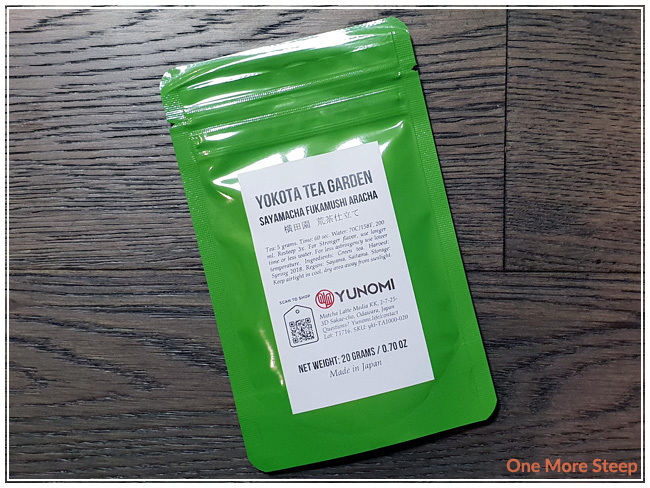 I loved Yunomi’s Hojicha Gold Roast. 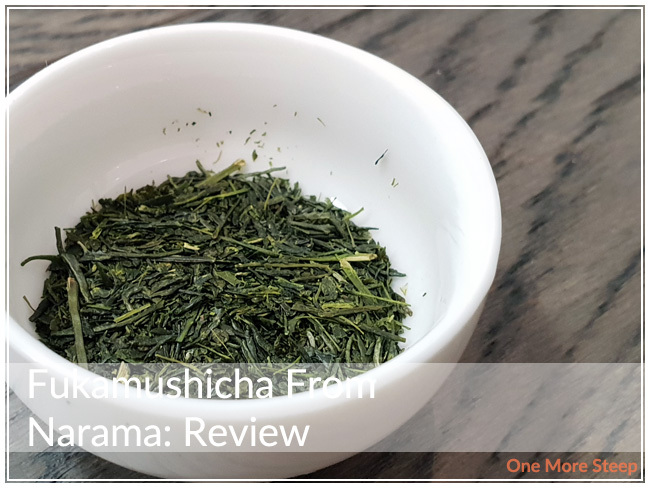 I really enjoyed this tea, because it’s not like other green teas out there. 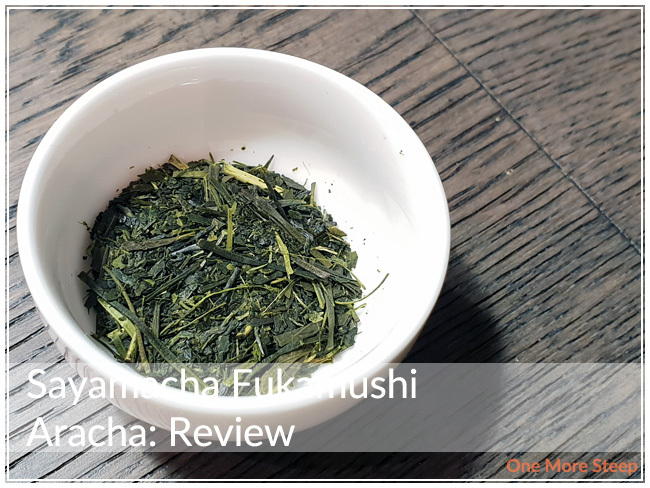 If you’re not a fan of the salty flavours or vegetal notes in most green teas, hojicha is a nice change of pace because it’s been roasted and it just has a different type of flavour profile to it. 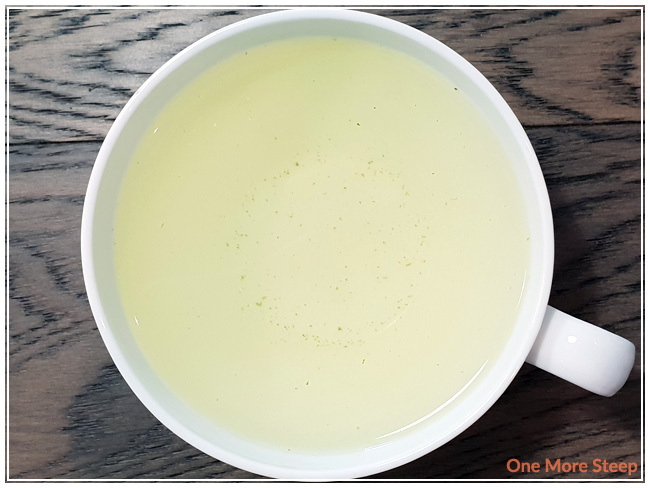 I really enjoyed the sweet caramel notes in this tea, along with the nutty flavours – which makes this tea quite savoury. I would easily pair this with a meal as it’ll be more sweet by the time you get to dessert.